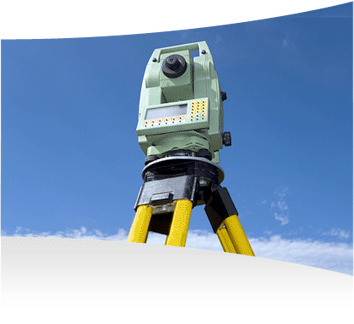 What does it cost to have my property surveyed? How long does it take to survey my property? How much notice must be provided? Depending on the size of your property and the work request, our field crews could be on-site anywhere between 1-3 business days. The field party assigned to your property will not need access to the inside of your home or garage for any reason. Gates and fences should be unlocked for access to the rear and side yards. Occasionally, subsequent field visits may be required prior to completing the scope of work. Please make us aware of any special requests while on-site (i.e. alert elders of presence on property; large dogs; gate access codes, etc.). When new work orders are submitted they are sent to the field within 1 to 2 business days. Plat preparation typically takes between 7 and 10 business days, or longer depending on the nature of the drawing, size of the lot and type of survey. Please provide at least (1) business day notice prior to requesting start of work. We will do our best to schedule the necessary tasks to completing services in a timely manner. I need a Site Plan to obtain a Building Permit, where do I begin? If you are required to obtain a Site Development Plan for building permit purposes we will need a copy of the building footprint and/or first floor elevations, any sketches or preliminary drawings you may have, and copies of recorded documents such as Deeds, Plats of Record, Title Certification & Lien Disclosures, etc. that are available to you, in order to prepare the Development Plan. When requesting work, please be as detailed as possible as to the location and position of the house or structure (i.e. "front of house 10' from front setback" or "more rear yard than front". We will do our best to prepare the drawings per your specifications and in accordance with the current City or County standards and code. For more information on City or County Building and Zoning Codes, please contact your local Building & Permits Office or Code Compliance Office. Where can I go to find information about my property? Each municipality has an online property information system where you can search public property information. For your convenience the links to York County, James City County, Williamsburg, Newport News, Hampton, and Isle of Wight are listed below. *Please note: If you live in Williamsburg and cannot find your property information on the website; please check the York County and/or James City County property information system. What is a FEMA Elevation Certificate? and why do I need one? You may have received a notice from the Federal Emergency Management Agency (FEMA), your lending institution, or insurance provider requesting a copy of a Flood Elevation Certificate for the purpose of updating or quoting your home flood insurance policy. A FEMA Flood Elevation Certificate is a document that states the flood zone status of real property and where precisely your home is located in relation to the Base Flood Elevation. The Flood Disaster Protection Act of 1973 requires flood insurance to be purchased for properties in Special Flood Hazard Areas prior to the owners receiving any type of direct or indirect federal financial assistance. The Flood Elevation Certificate is a tool that FEMA uses to certify building elevations, if the building is located in a Special Flood Hazard Area. For more information on FEMA please CLICK HERE.